The buzz around the lithium sector may have receded from the fever pitch it reached in 2017 but investors in any market should be inspired by a project with operating margins of more than 80%. 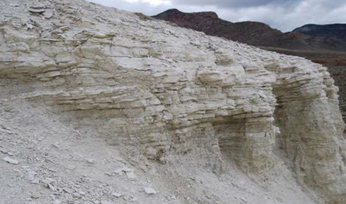 That's the scenario outlined by ASX-listed ioneer, formerly Global Geoscience, in the much-anticipated prefeasibility study for its Rhyolite Ridge lithium-boron project in Nevada, released late last month. Potentially more impressive to a market still trying to recover its risk appetite is that the economics remain robust at levels well below those at which lithium currently trades. ioneer has ridden the lithium wave over the past couple of years, first rising some 4,800% from mid-2016 through to the end of the March quarter this year as it delivered a very large lithium-boron resource and positive metallurgical results, and then giving up half those gains over the next six months as some analysts began to question the outlook for the metal - a core component of batteries used in electric vehicles (EVs). 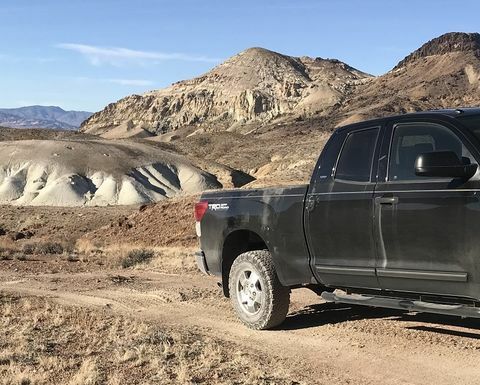 In many ways, this first technical study for Rhyolite Ridge marks the company's transition from a stock for lithium dreamers, looking for highly-leveraged exposure to the seemingly unlimited upside of the EV story, to a practical development opportunity founded in robust economics. This transition, in fact, inspired the name change early this month. "Global Geoscience as a name is appropriate for an exploration company but it doesn't represent what we're about to become," ioneer managing director Bernard Rowe said. "We want the name to reflect several things including our presence as an emerging major supplier of lithium and boron, which are two products central to both energy conservation and also urbanisation - lithium through its role in EVs and boron through its energy-efficient applications in insulation and glass. "It's also, of course, a play on the word ‘pioneer'. 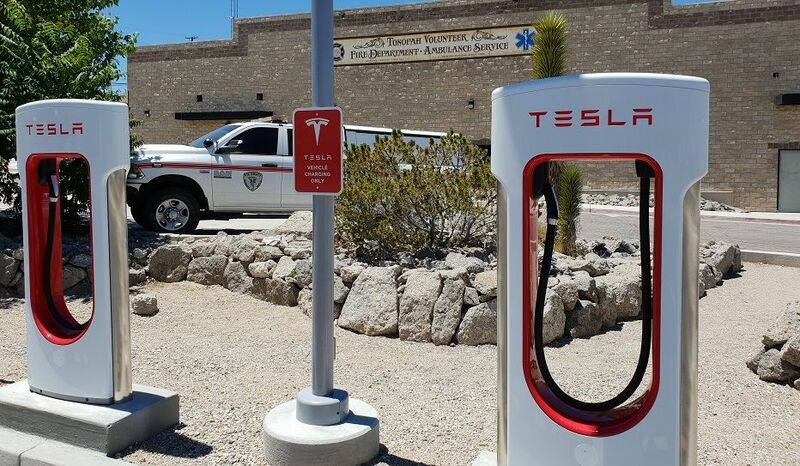 This is relevant to us in that this will be the first lithium mine built in the US and will act as a feedstock for next-generation technologies and a source of those raw materials for many years to come." The PFS is based on a 104.1 million tonne indicated resource, within a recently enlarged indicated and inferred resource of 121.4Mt grading 0.9% lithium-carbonate equivalent and 7.1% boric acid (1,050 parts per million cut off for lithium and 0.5% cut off for boron). 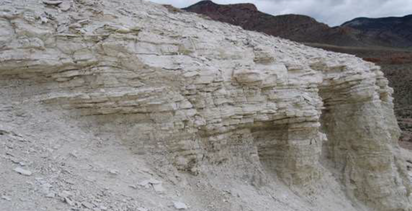 Rhyolite Ridge would be an open pit mine using conventional vat leaching, albeit applied to a different mineral set than previously attempted. Though the process consumes larger amounts of sulphuric acid than the leaching of some minerals, the process works and recoveries of greater than 80% are expected. An operating rate of 2.6Mt per annum is slated to produce 20,200t of lithium carbonate and 173,000t of boric acid annually over a life of more than 30 years from a projected start-up in 2021. The cost to build comes in at a fairly heavy $600 million, of which $173 million is set aside for a turn-key sulphuric acid plant. The highlight is the operating cost of just $1,796/t net of the boron credit, which looks spectacular against a forecast longer-term lithium carbonate price deck based on averaged estimates from respected consultancies, Roskill and Benchmark Mineral Intelligence. It would, therefore, take a material departure from the predicted cost environment for the mine to come under pressure. The boric acid price used is a conservative $700/t. That operating cost is the key to strong overall project economics. The net present value (post-tax, 7% real discount) is a breath-taking $1.82 billion, which sits alongside an internal rate of return at 27.7%. 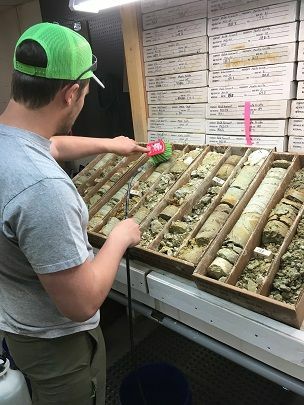 Once in steady-state production, Rhyolite Ridge would generate annual earnings before interest, tax, depreciation and amortisation of almost $300 million and is expected to pay back the initial capex in four years. "After so much work, we're exceptionally pleased at how favourable the financial results are from the PFS," Rowe said. "The results around the cost-per-tonne to produce lithium carbonate is particularly important in that it puts us at the bottom of the cost curve and removes a significant portion of risk for a mine with such a lengthy expected life." With the technical study published, ioneer can get on with the job of securing key environmental permits, a process that holds few fears for the company. Nevada is one of the world's leading mining jurisdictions from an investment security perspective, registering as AAA on the Investment Risk Index within Mining Journal's World Risk Report (feat. MineHutte ratings) - one of only five jurisdictions to achieve the highest-possible rating. Rowe has also earned himself some brownie points with federal regulators through the design of the planned sulphuric acid plant, which will produce excess energy as a by-product that can go back into the grid, qualifying as a green source of power. The key environmental approval is expected to be in place in the June quarter next year. 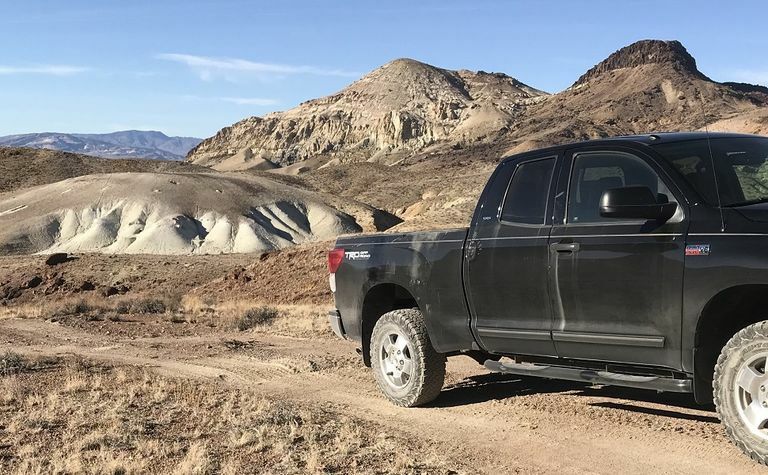 Completion of the PFS also frees up management to attack the financing effort with gusto - a necessity given the capex of Rhyolite Ridge and the current financing landscape. The likely financing scenario would see offtake agreements concluded that may or may not have upfront finance attached but would, in any case, provide the confidence in future cash flows to underpin the overall business model and reassure providers of various forms of equity and debt. Conversations with offtake partners have been ongoing at a high level for some time but will now take on a more earnest tone. Rowe also has some flexibility up his sleeve as to how he handles financing and construction of the sulphuric acid plant, with one option potentially removing the cost completely and therefore almost 30% of the capex bill. "There is the option to fund the sulphuric acid plant separately to the rest of the development," he said. "We haven't decided what path we'll take on this but that is something we're considering. "We've consulted with three internationally-recognised firms that build these plants and all have indicated they would be happy to explore the options around having the plant funded by either them or a group they work with. "So, we could go down a ‘build-own-operate' route with an external provider but we would prefer to have control over the sulphuric acid, which is crucial to our primary lithium-boron operation. Another option would be to own and manage it ourselves, which would be more expensive, or we could part own it and simply manage the plant and output. "These are all options open to us and we'll review these for the best possible outcome in terms of securing finance and the long-term health of Rhyolite Ridge." Rowe described financing of the build as "a process", the initial stages of which had begun before the PFS was complete. The next stage was to conclude offtake agreements and make a decision on the sulphuric acid plant, at which point the company would move on to various forms of debt and equity. If ioneer is to meet its schedule, those offtake and financing discussions will need to favourably conclude around the same time as the definitive feasibility study is due - the September quarter next year. ioneer has more than US$50 million in the bank to see it through to that point. There are key risks to be overcome for Rowe and his team over the next year but, regardless of the challenges ahead, Rhyolite Ridge is no longer a blue-sky story for EV speculators but rather a practical opportunity to realise a valuation in the order of almost $2 billion. Boron product makes $600M Nevada project likely "the lowest cost producer of lithium in the world"